PASIG CITY, January 21, 2019 – The Department of Education (DepEd) notifies its school-based personnel that as of January 21, DepED Region III has started releasing the Performance-Based Bonus (PBB) for Fiscal Year (FY) 2017. 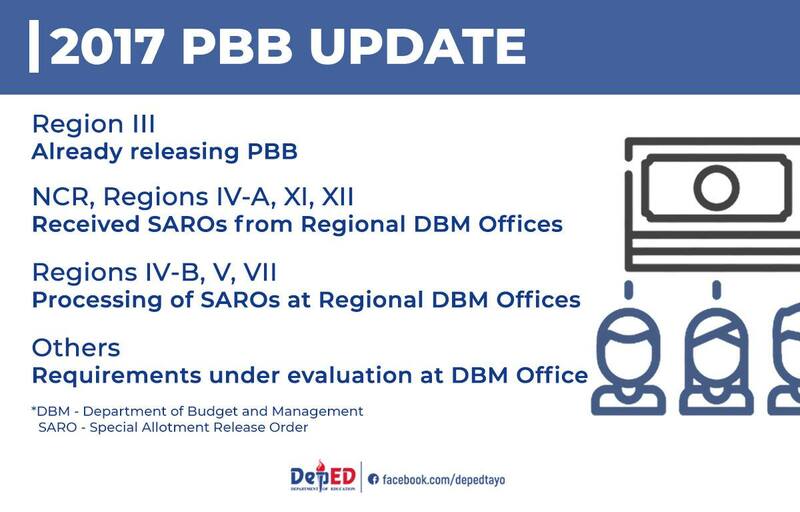 The Schools Division Offices (SDOs) of the National Capital Region (NCR) and Regions IV-A, XI, and XII have received their Special Allotment Release Order (SARO) from their respective Department of Budget and Management (DBM) Regional Offices. SAROs are also being processed by the respective DBM ROs for release to the SDOs of DepED Regions IV-B, V, and VII.  As for the remaining DepED Regional Offices, their documentary requirements are undergoing the evaluation of the DBM Central Office. Once cleared, these shall also be endorsed to the respective DBM Regional Offices for release of funds.